The equipment, products and other materials a company use come in all shapes and sizes. To store and transport these things, many companies use custom-made crates. Designed to match the proportions of the item or items they’ll hold, these crates have the advantage of using only as much material as is necessary and of taking up no more space than they need to—both good ways of saving a company money. The same principle holds for skids. Since the equipment or other materials you keep on skids are of varying dimensions, custom-made skids are very often the most practical and cost-effective option. If you can’t be sure your products will arrive at their destination on time and undamaged, it can cause problems for you and your reputation with your clients. Of course, your products are unique to your company so the standard shipping options may not be right for you. That’s why Pack-All International offers custom wooden crates from our Mississauga facility. Whatever your shipping problem is, we can make a wooden crate that solves it. Shipping equipment and materials of a standard size is usually not much of a problem, but shipping heavy or oversized items can quickly turn into a logistical nightmare. So, what do you do when your item is extremely heavy, oddly shaped, or even both? At Pack-All International we provide custom skids in Toronto for exactly this sort of situation. With a custom skid, you can rest assured that any materials or equipment you need to ship are going to be stored and transported in a safe manner. Just read on if you're interested in finding out more. At Pack-All International, we understand you may have anxiety about potential damage during packing and shipping – and one of the best custom shipping products that provides the best possible shipping protection is the wooden crate. 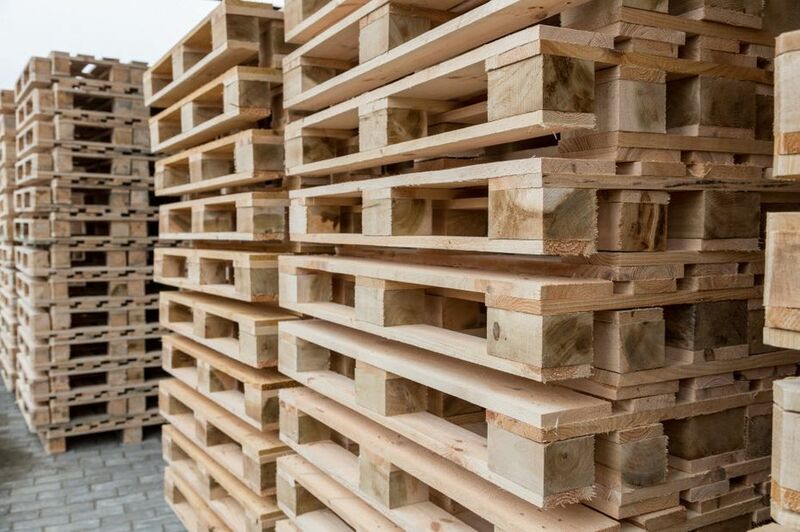 If you need to ship materials or finished products, then custom wood packaging from Pack-All International has your solution – our custom wooden crates in Toronto, Mississauga and throughout the GTA offers a variety of high-quality packaging boxes to meet your diverse needs. We offer fast, reliable, and cost-effective methods to ensure your products arrive at their destination safe and undamaged. When you need wood pallets for shipping, you might not think about the kind of wood you’re using. However, not all pallets are created equal. In fact, some pallets can prove downright dangerous if used in the wrong contexts. Throughout the years, people have shipped many interesting things, from bricks to pillows to pineapples. In a previous blog, we discussed some items you cannot ship in a crate. But you still may have questions about something you want to ship. Perhaps you need to ship medical materials for your business. Here are some guidelines on common questionable items and how you can ship them. Pack-All International has been a leader in the preservation packaging industry since 1976, offering innovative, unique packing solutions that keeps our customers returning again and again. This is why we continue to offer a variety of high quality packaging materials to ensure your products arrive at their destination safe and undamaged. The transportation of sensitive and fragile equipment or products needs the use of specific packing equipped with dedicated mounts for shock and vibration isolation. Shock mount packaging is the safest and the most preferred option for highly fragile and delicate items such as electronic equipment or chemical compounds. Pack-All International lays your worries to rest by providing custom crates and pallets as well as packaging solutions to fit your unique products, providing fast, reliable and cost-effective shipping protection. 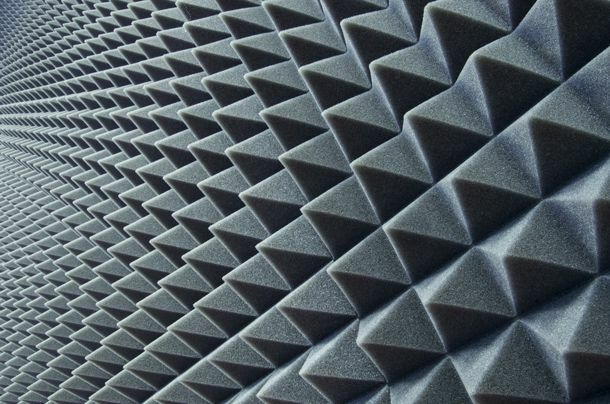 Has your business been expanding? If you're thinking of branching out by taking your products or services abroad, there are several things you'll need to do first. Follow these five key steps to start out right. International shipping takes some extra care and attention to detail. This specific industry requires a lot of the company responsible for shipping, but these requirements are compounded when it comes to Military Spec packaging. Sue the Dinosaur has travelled the globe. As the best preserved, most complete and largest Tyrannosaurus Rex fossil archeologists have ever discovered, she remains in high demand throughout the world’s finest natural history museums. While her home remains the Chicago Field Museum, Sue’s prehistoric visage has been seen by dinosaur enthusiasts in places like Australia, Japan, Kuwait, and Venezuela. But how? 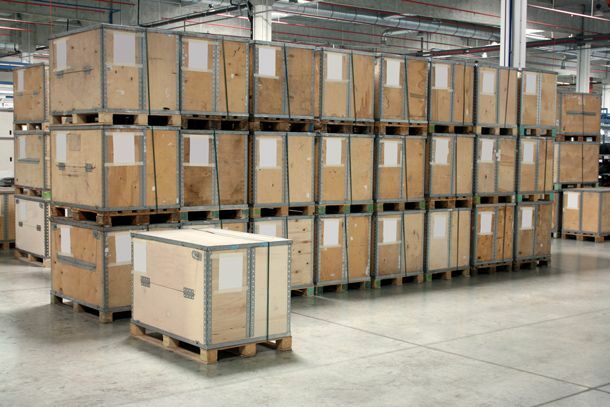 You can rely on wooden crates to ship just about anything, including military spec packaging and museum artwork. They give you a powerful protective layer that safeguards your items while they ship to another location. However, unless you've done the necessary preparation, shipping some items may prove dangerous for the crate and the workers who move it. Every day, your company ships a lot of freight. You know the ropes, so you're able to ship your exports with a minimum of fuss—until you decide to ship heavy machinery. Suddenly, the entire shipping process is more complicated than it was before. If you’ve ever been in a grocery store, you’ve probably seen a wooden pallet or two lying around. These sturdy squares of slatted wood are the workhorses of the shipping industry. Companies use pallets to transport everything from cantaloupes to computers. Whether you own a small music shop or manage a whole symphony, shipping musical instruments can be stressful. Some of these instruments are art as much as they are functional, and they can cost quite a lot of money. Many musicians are emotionally attached to their instruments as well. Bubble wrap is a staple shipping product in any package you send. Everything from fine china to industrial equipment probably encounters bubble wrap at some point in its journey. And if you have to move an entire office or ship large, heavy objects, you’ll likely see a lot of bubble wrap before you’re done. But have you ever thought about where bubble wrap comes from, and what makes it such a good shipping material? While you deal with a stressful move, take a moment to relax with some interesting facts about everyone’s favorite packing product.